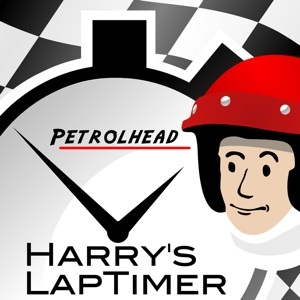 Harry's LapTimer is the advanced tool for car enthusiast. It records all types of sensor data provided by your iPhone/iPod/iPad (or external sensors), combines them, and makes them available to optimize your drive. Over time, you will get insights on your car and in your driving, not known before. LapTimer offers more than 1000 predefined tracks world wide. 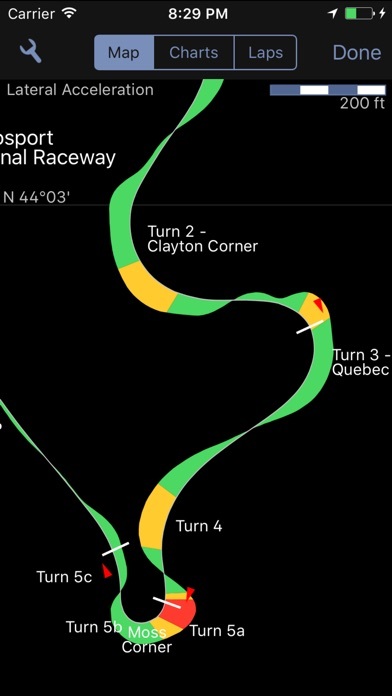 With its assistants, it is extremely easy to setup - just click your track and drive. 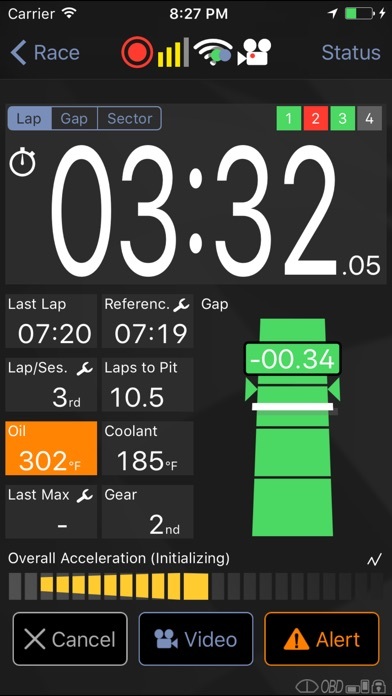 It fully automates your lap timing using GPS, and presents the results to all kinds of media. You are not limited to track driving only. For example, you may define your home and working locations as a 'track', collect statistics on different ways chosen, and analyze / optimize the time used every day. Want to show your drive to your friends? LapTimer generates beautiful in car video recordings with all kinds of data overlaid, ready to be presented - e.g. on youtube. 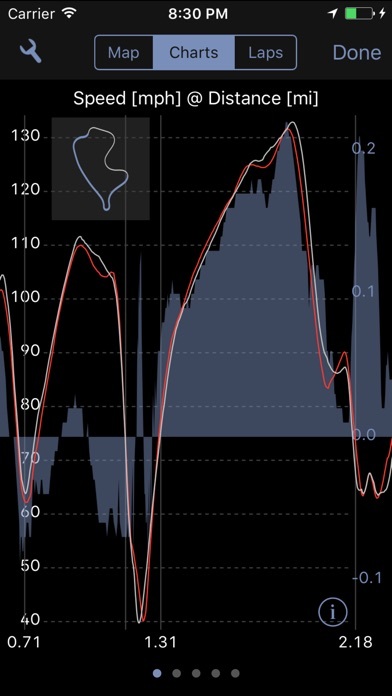 Even without video, recorded data can be analyzed using purpose designed views, making it easy to analyze and improve your driving performance. Using online racing, you can use LapTimer in competition. 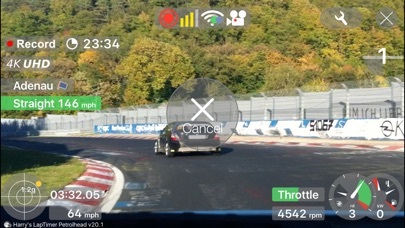 LapTimer offers a Hall of Fame, allows watching you and your friends on track - all in real time. 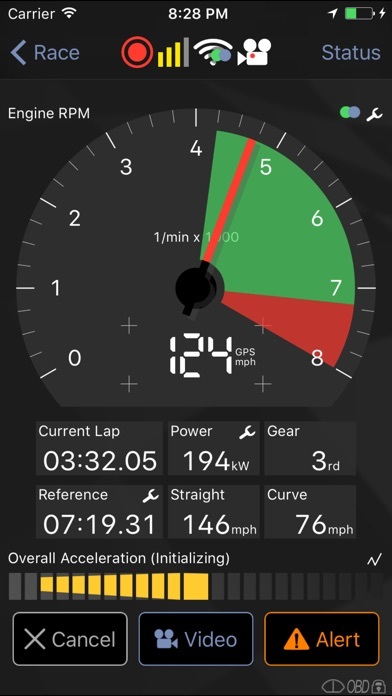 Compare your sector times, braking / acceleration points, and learn from each other. You can start with your plain iPhone in the beginning and add external GPS and OBD II sensors later, step by step, and as you need it. LapTimer itself comes in three different editions: LapTimer Rookie is the entry level with all you need for lap timing; LapTimer Petrolhead is the advanced version including lots of video features, and LapTimer Grand Prix is the edition for professionals including Multi Cam recording, and advanced sensor and analytics functionality. Please note that functionality depends on your device, the LapTimer edition chosen, and sometimes even external sensors added (like OBD II). Please visit our web page to get the full story. All edition can be upgraded later, all editions come with native iPhone and iPad support. There are quite expensive stand alone solutions for track days available. Be smart and own the leading edge tool simply by using your iPhone and LapTimer. Besides the professional area, there is no known solution that offers more functionality than LapTimer does - across the market. As our ambition is to offer the best tool, LapTimer is enhanced continuously. Please visit http://www.gps-laptimer.de for detailed information on versions, FAQs / documentation, in depth technology background information, online racing, and supported device configurations. Join our user community on http://www.gps-laptimer-forum.de to be involved in future development - all with first class support.